Are you looking for your next family ski vacation hotspot, away from the crowds and lift lines, full of family fun, and most importantly, hassle-free? Head off-the-beaten-path this winter and experience some of Scout’s best value family-friendly ski resorts that are sure to make this your most memorable family ski vacation yet. Tucked away in the stunning Jasper National Park, Marmot Basin is a fantastic and affordable option for families in Canada. Smaller than other resorts in Alberta, Marmot boasts a great variety of terrain, a relaxed and friendly mountain atmosphere, plus virtually no lift lines! The resort facilities are catered specifically to families, with numerous day lodges and a superb ski school featuring popular Marmot’s Kids Camps and programs that combine childcare and on-hill instruction for the littlest of skiers. There is no on-mountain accommodation, however, the town of Jasper is only 20 minutes by resort shuttle. The wide range of hotels and lodges in town combined with some of the lowest priced lift tickets in Canada (including Kids Ski Free deals) makes Marmot Basin such good value for more independent families. Compact and un-crowded, Panorama is perfect for families. Located a few hours from Calgary, it's a bit of a hike but once you’re there, everything you need for your perfect ski vacation is all within walking distance. Most of the condo-style accommodation best suited to families is located at the base of the resort, right alongside the ski rentals, lesson meeting points, cafes and restaurants. Convenient! 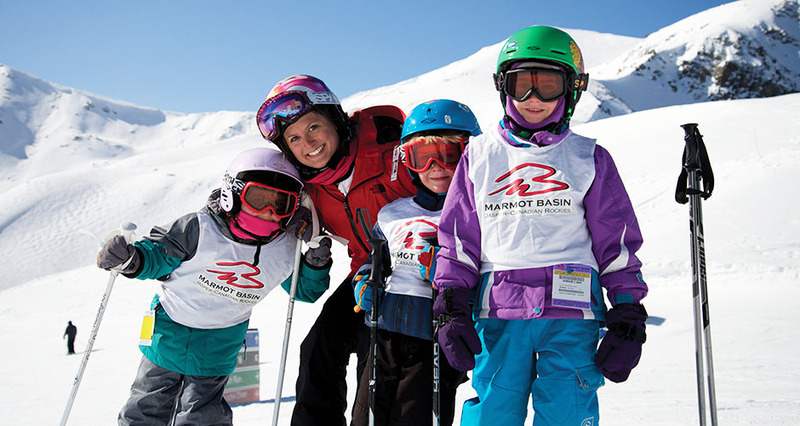 The ski school is well organised, with great programs tailored to each age and ability level, plus the designated Discovery Zone is a fantastic spot for families with first-timers. Alongside great skiing, Panorama also boasts a wonderful variety of non-snow activities to keep the kids entertained, including ice-skating, plus Canada’s largest slopeside hot pools where kids can enjoy a collection of waterslides and splash pools (while adults can unwind in the soothing hot tubs). Best of all, Panorama is exceptional value for money, with fantastic Early Bird Offers and Kids Ski Free deals that make the family ski vacation even more affordable. Travelling to Japan for the first time can sometimes be a tricky one for families, however, resorts like Madarao, located just under 2 hours from Tokyo, make it a breeze. Madarao is a perfect choice for families with young kids and beginners, with plenty of green runs, and a world-class ski school with English-speaking instructors. The resort area is compact and easy to get around, and unlike many other purpose-built resorts, there is a wonderful friendly Japanese charm about the place. 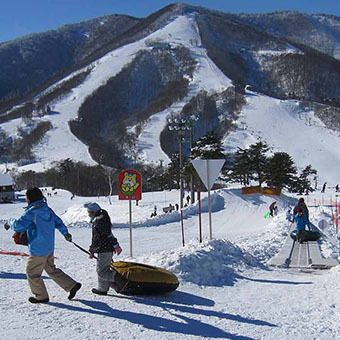 The main hotel boasts fantastic facilities and amenities for families, including a convenience store, onsen, and childcare facilities, plus it’s slopeside location means you’re close to ski rentals, lesson meeting locations, and the ever-popular Kids Snow Park (with tubing and sledding). Crowds are non-existent, and a distinct lack of Western tourists mean you’ll have a true Japanese ski experience. Madarao is an easy, fuss-free, and incredibly affordable option for families in Japan. One of Scout’s top picks for families in Japan as it has everything you desire for a family ski vacation…firstly, kids ski free! Secondly, there’s a good selection of self-catered apartments, within walking distance of the chairlifts. Plus there is a wonderful ski school, with great group lesson options for kids, and English-speaking instructors. The resort boasts plenty of other things to do other than skiing, including snow rafting, snow mobiling, and dog sledding, part of the Snow Night Fantasy village at the New Furano Prince Hotel. Lastly, the resort itself has a good mix of Western influences and comforts alongside traditional Japanese culture, so families can experience a true Japan ski vacation with ease. One of the USA’s best-kept secrets, Big Sky in Montana is an excellent choice for families seeking a new ski destination. It’s authentic and charming, and has remained an uncrowded (and somewhat secretive) locals spot to ski. Big Sky is, as you can imagine, big, but being a purpose-built resort it caters wonderfully to families, and the varied terrain options are fun to explore and surprisingly easy to get around. Endless hotel and condo options are available to suit any budget, and most are located around the main pedestrian-friendly Mountain Village, so you’re close to everything you’ll need for your ski vacation. The one drawcard for families to Big Sky is the vast variety of extra activities on offer – on and off the snow. From zip-lining, bungee trampolines, a climbing wall, and a giant swing, to snowmobiling and ice-climbing in nearby Yellowstone National Park. A family ski vacation to Big Sky is more than just about the incredible snow! Crested Butte is heaven for families seeking a perfect Colorado ski vacation. Its seemingly isolated location (albeit easy to get to) means no crowds, no lift lines, and a world-class resort that’s bursting with friendly and laid-back mountain vibes. The compact village area has an impressive range of facilities for families, including rentals, overnight storage, excellent CB Ski & Ride School, retail shops, and restaurants all in the one location. Located slopeside are budget to mid-range condo options for families, and their proximity to the base area makes it the perfect spot for kids to hit the slopes for the first time, remaining close to amenities for when they get cold hands or need a mid-morning snack. 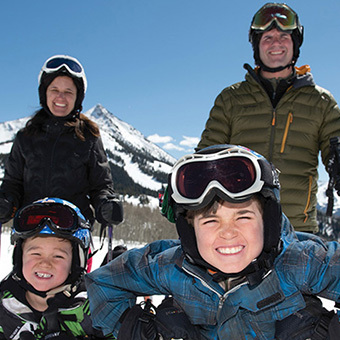 Families can’t go past the Adventure Park, with a range of bungee trampolines, rock climbing, mini golf, and tubing, to keep the kids entertained on a down-day, and the historic town of Crested Butte (barely 6 minutes via the resort shuttle) is the perfect spot for families to experience an authentic Colorado ski town on a budget. Need some more help on deciding where to go? Check out our Resort Finder to help you choose the best ski resort to suit your family's needs or contact us at Scout.